Derby's waste - a rubbish blog ! 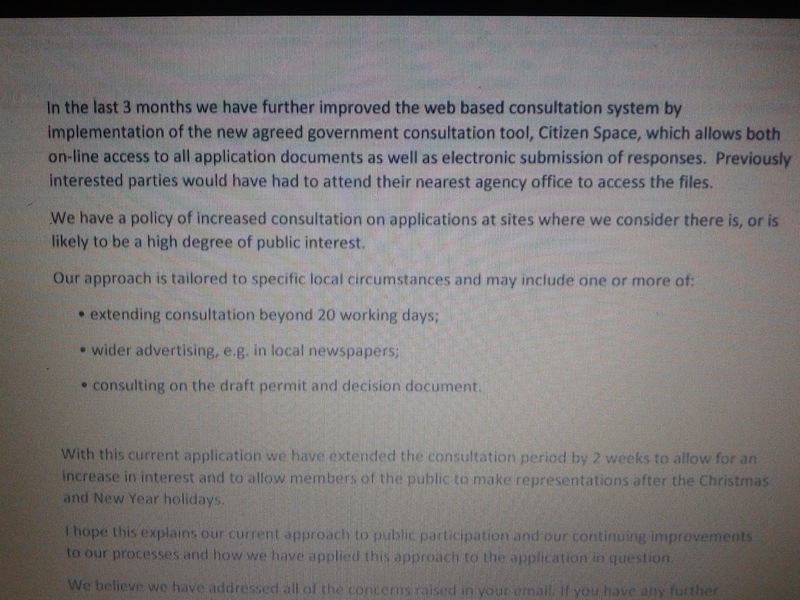 : Consultation - an exchange of views they dont really want! 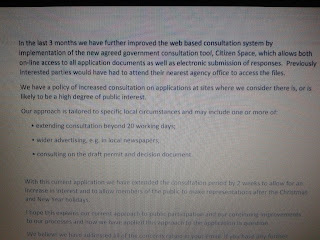 Consultation - an exchange of views they dont really want! CONSULTATION - AN EXCHANGE OF VIEWS IN AN ATTEMPT TO REACH A DECISION ! So that is what a consultation is considered to be - an exchange of views relating to a decision. But what about a decision where those making the ruling consider that they do not NEED to consult or do so in such a way that those being consulted do not even know they are subject of a consultation! My previous blog post broke the news to many that they were being consulted on a proposal to burn almost 18,000 tonnes more waste in Sinfin, Derby at a controversial waste incineration plant that has yet to even start operations! 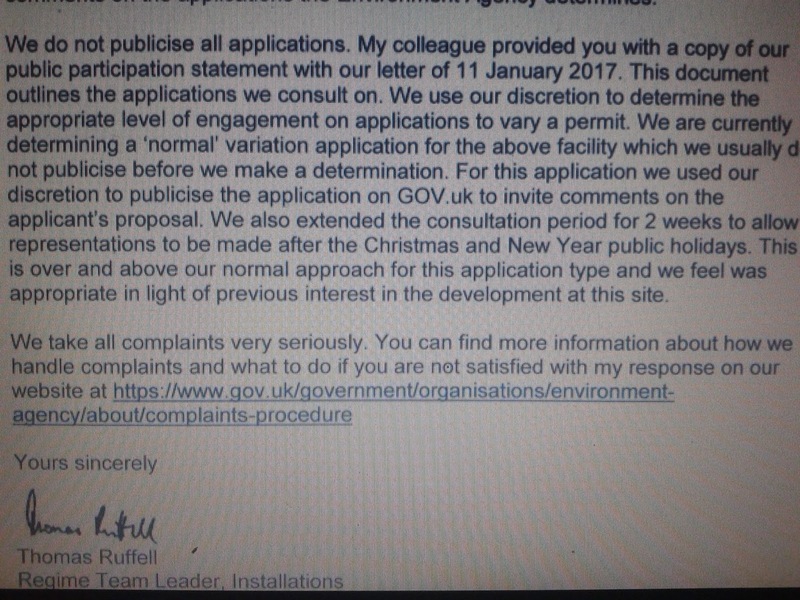 It was early December 2016 when the UK Without Incineration Network first advised me that they had spotted a consultation on the subject on an obscure Environment Agency website that 99.9% of people would never look at. My previous blog post gave the background to this situation and was supplied to local media, Derby News, Derby Telegraph and East Midlands Today etc for further promotion to the public. As I considered this situation unacceptable I contacted the Environment Agency to make a complaint about the consultation as I felt that it was not in the spirit of public engagement as they were failing to gain the views of the community around the facility they were ruling on. The Environment Agency was fully aware of the controversial nature of the project and so should have expected local opposition and so should have been open to engagement. WHICH WAS NOT THE CASE WITH THIS APPLICATION! We also learn that this has been the practice since 2010! 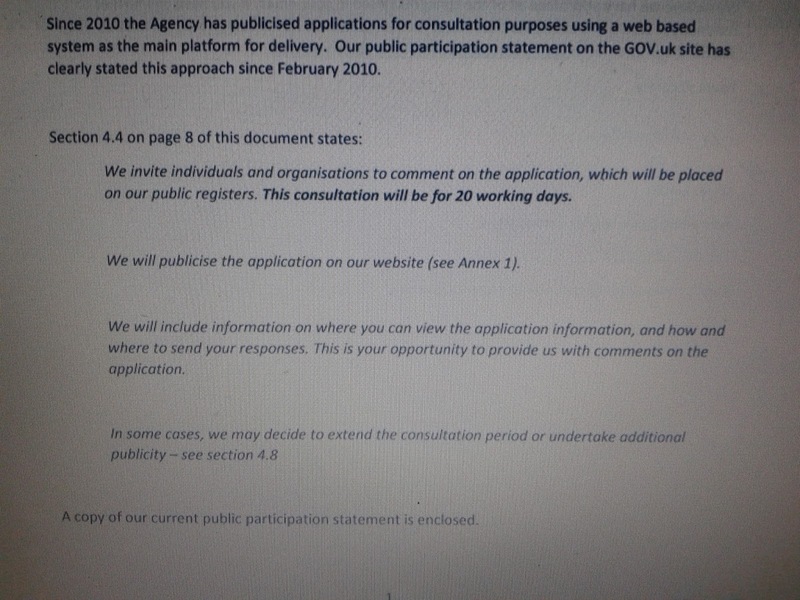 the Environment Agency are so welcoming of public comment, views and opinions that they have been hiding the consultations for over 6 years squirrelling them away on some faceless government websites and in local Environment Agency office's for all those years. 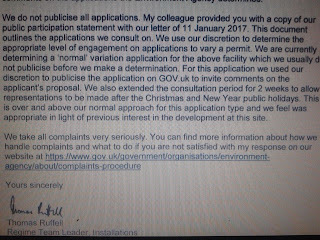 After I replied to the Environment Agency further they upgraded my complaint to the Regime Team Leader no less who continued to trot out the excuses for the poor public liaison stating that "We do not publicise all applications" so god help local residents across the UK. The team leader went onto suggest that the Sinfin, Derby application was a "normal" variation application which we do not usually publicise. Hold on a minute this is an application to burn thousands of tonnes more waste at a controversial plant which has not even started operations yet! 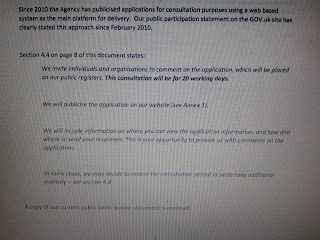 and the Environment Agency are saying they would not usually publicise. As an update to this blog post I wrote to my MP - Margaret Beckett who was previously a government minister for DEFRA etc who then wrote to the Environment Agency Chief Executive James Bevan. He then passed it onto Mark Haslam the Area Environment Manager for the East Midlands who just sent her the same kind of waffle that they had already sent me. It appears that Margaret Beckett doesn't recognise the issue that if the public are not consulted then there is something very wrong! SOME SAY THAT ALL I NEED IS THE AIR THAT I BREATHE ! IF IT IS LEFT TO THE UK ENVIRONMENT AGENCY IT IS NOT CLEAR IF YOU CAN EVEN HAVE THAT!